The Code of Conduct Tribunal has dismissed a no-case application brought by the suspended Chief Justice of Nigeria, Walter Onnoghen. 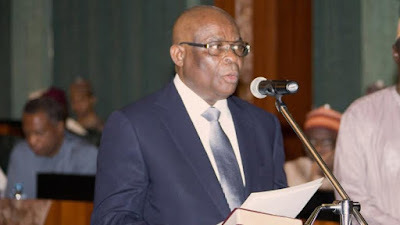 Mr Onnoghen had earlier on Friday dismissed charges of false asset declaration against him as “useless and invalid”, saying the Code of Conduct Bureau failed to follow its standard operations procedure in raising the charges. He therefore argued that he had no case to answer, implying the charges be dismissed. But a three-member panel of the tribunal led by Danladi Umar dismissed the application, saying the argument that the CCB, which is the prosecution, failed to abide by its guidelines amounted to a mere internal communication flaw. Mr Umar said the standard operational procedure of the bureau was faulty and must not be complied with by the prosecution. According to the tribunal, the procedure which is internal, cannot above the Nigerian constitution. The tribunal adjourned immediately after the ruling till Monday.